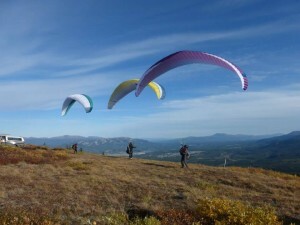 Come fly at Midnight on the longest day of the year at Haeckel Hill and celebrate one of the nicest launches in Yukon. Weather and wind direction will hopefully cooperate. Bring friends to enjoy the beautiful the view while sitting on the new grassy launch made possible by Lotteries Yukon, The Sod Farm, Yukon Energy, City of Whitehorse and our tireless volunteers: AYPH pilots, family and friends. It doesn't get any better. 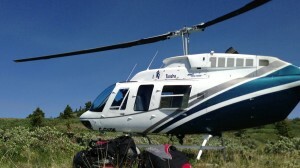 Helicopter... Atlin... Paragliding... All thanks to Jamie Tait! 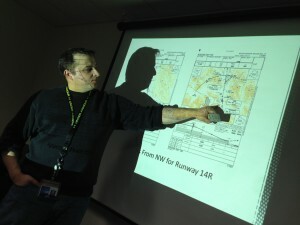 The Whitehorse Control Tower, will be offering an evening session on Airspace Classification, Control Zones, and Tower Operations (Mountainview and Schwatka Focus). 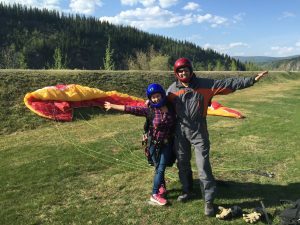 Become part of the Midnight Sun Flying Club this Summer Solstice! 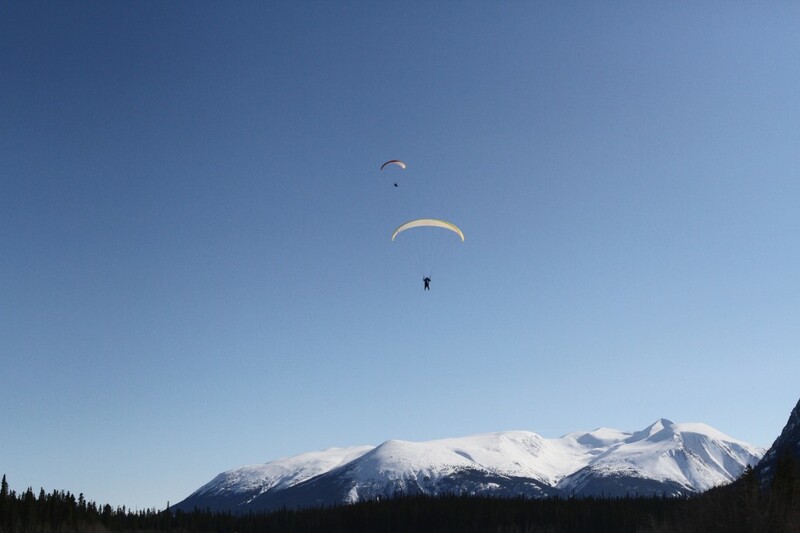 Heli-Paragliding in Atlin with Jamie Tait - get a ride up one of the local mountains with your Paraglider in a helicopter. Experience the Dream! 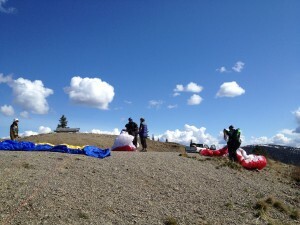 RSVP for an Instructional Tandem Flight off the Midnight Dome. 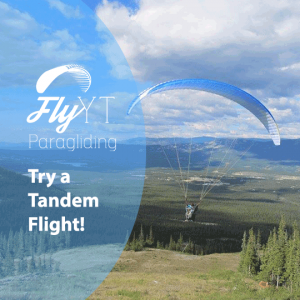 Experience the Dream and try a Tandem Paragliding Flight. Live the dream and get off the ground. The P1 or student rating will introduce the knowledge and basic skills necessary to fly and practice under direct instructor supervision in mild wind conditions. Fly Yukon, 55 Tigereye Cres.